The Balloon Blast Video Show has been around for five years now, and we kick off our fifth season with a few balloon tutorials, a guest segment, and a fun culinary delight provided by our new show sponsor. 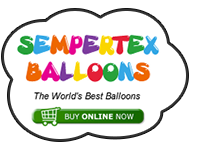 Contact the show at ScottTrippBalloons@gmail.com or find us on Facebook, both individually or collectively at BalloonBlastVideoShow. Support the show at Patreon.com/PurplePig, and get some extra bonuses and perks, including exclusive videos. You can also check out digital video offerings by the Balloon Blast Crew and friends at Balloon-Animals.com/catalog"
Re: Balloon Blast Video Show - Season 5! Episode 2 of Season 5! This concludes our broadcast day." Episode 4 of Season 5! The December 2017 Balloon Blast opens with Scott Tripp, alone in the studio. But it's okay, a few guests drop by, Balloonski, Christopher Lyle, and the guy from the Daily Purple Pig. 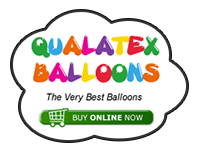 There is talk about the new Qualatex balloon colors. And look at some sculpture possibilities using a pyramid structure that carefully toes the line between "Twisting" and "Stacking"
I think that must be the episode I got the pig design from. "This episode of The Balloon Blast Video Show drops on April 1, Which is both Easter and April Fool's Day, so we present to you our Easter Fool's Spectacular! or Extravaganza! or Generic Funtime Descriptive Word! This episode once again features the editing mastery of John Justice, who put in an insane amount of work to pull together a show with the most chaotic and disjointed pile of video clips that you could possibly imagine. We also have a surprise guest- Angela Graan pops in to show us how to construct a fluffy sheep out of ordinary air-filled balloons! Sam and Scott also do that thing that they do, and there is also a celebrity scheduled to appear, TBA."